My son and I just got back from the farmer’s market with some fresh local peaches. We took three large ripe peaches and cut them into little pieces. We then added them to a sauce pan along with 1/4 cup of water. We cooked them on medium (slightly boiling) for about 30 minutes. We then added 1 tablespoon of cinnamon, and 1 tablespoon of coconut nectar http://amzn.to/16nKCAn. We continued to cook it for around 15-20 more minutes on low (until it was thick enough for us). Then we used our hand blender (directly in the sauce pan) to smooth out any lumps. (We blended everything peels and all). 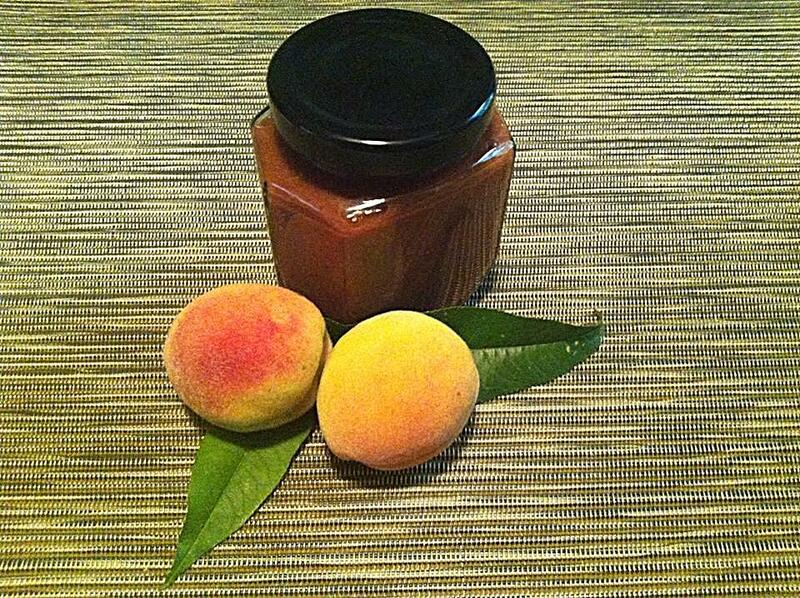 We just now made almond and peach butter sandwiches. Posted by simplycookingrealfood on November 3, 2013 in Condiments.